Join us on Tuesday, June 12th as guest speaker, Gail Langellotto, OSU, presents the latest research on ecosystem services provided by gardens, and tips that you can use to make your garden a lean, mean ecosystem-service machine. Gail Langellotto is an Associate Professor of Horticulture at Oregon State University, where she also coordinates the statewide Extension Master Gardener Program. She has a B.S. in biology, and M.S. and Ph.D. degrees in entomology, all from the University of Maryland. She oversees the Garden Ecology Lab at OSU, where she and her students have active research projects on garden pollinators, native plants, garden soils. She also conducts similar research project in the Portland Metro area. Our Speaker Series goes out in the garden for July and August. Join us at the Multnomah County Master Gardeners Community Demonstration Garden, 6801 SE 60th Avenue, Portland. We will meet in the lovely surrounds of the Demonstration Garden (if inclement weather surprises us the presentation will take place in the greenhouse). 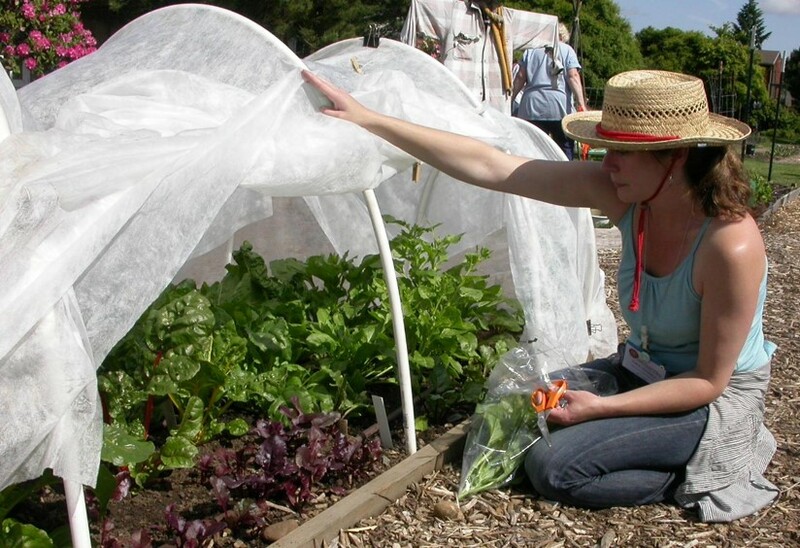 July 10, ‘Summer Series – In the Garden’ at the Multnomah County Demonstration Garden (6801 SE 60th Avenue, Portland). 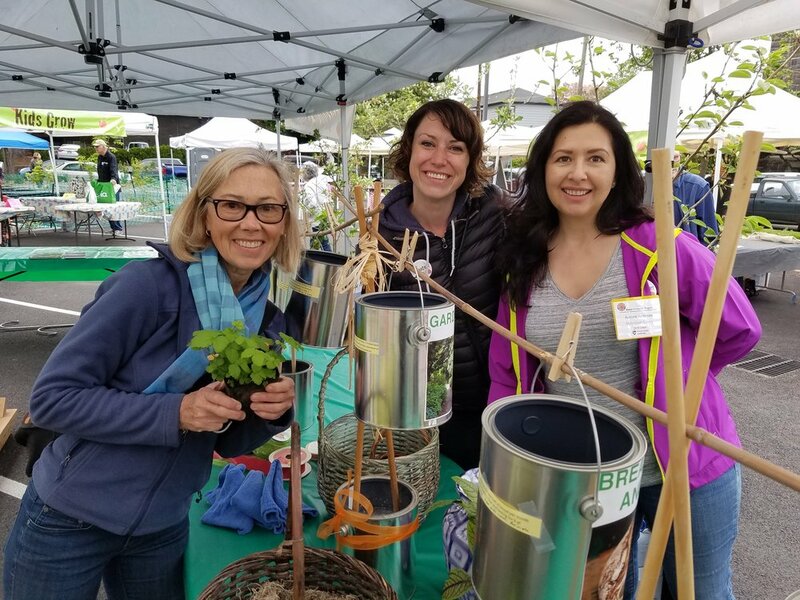 – “Impacting Food Insecurity Through Community Partnership”, Heidi Davis, Community Teaching Kitchen, Providence Milwaukie Hospital and Devin Dinihanian, Statewide Seed to Supper Coordinator for the Oregon Food Bank. Food security requires that all people at all times have the ability to access enough safe, nutritious food for an active, healthy life, and that they can do so in personally and socially acceptable ways. Join us as Heidi and Devin share how Providence Milwaukie’s Community Teaching Kitchen and Oregon Food Bank’s 'Seed to Supper' program have teamed up to create healthier communities together. We will demonstrate how much can be accomplished by creative partnerships, an engaged medical community and garden education program, and passionate volunteers to address a community need. 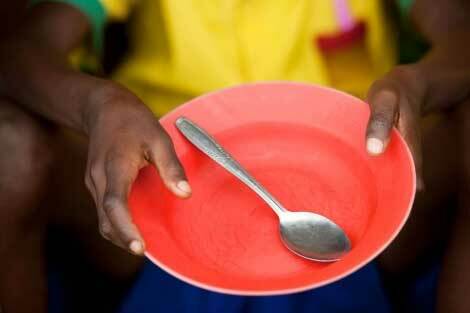 access to healthy, nutritious food. Devin Dinihanian has been coordinating the Statewide 'Seed to Supper' program for the Oregon Food Bank since March 2017. He has over a decade of experience in social service, youth advocacy and garden- based education with English and Spanish speaking populations. He spent several years working on organic farms of various sizes in Oregon, New York, Vermont, and Oaxaca, Mexico, and enjoys working with people of all ages and backgrounds in garden and farm settings. August 14, ‘Summer Series – In the Garden’ at the Demonstration Garden (6801 SE 60th Avenue, Portland). It's lovely in the garden! Come learn with us! It’s lovely in the garden, come join us! So much is happening…spring plantings of radish, onions, lettuce, bok choi are being harvested, summer crops are being planted, a new garden is unfurling in our garden annex expansion area, and we are sharing garden knowledge with others and making new discoveries together! Dig in and help us to share a bounty of nutritious vegetables with those experiencing food insecurity. Our volunteer days are Monday and Thursday, 9am to 12noon. Come join us for a morning of fun and dig in to some great hands-on garden education. Would you like to volunteer on a Saturday? Let us know. Contact us at mcmgdemogarden@gmail.com. Interested in keeping up with all the exciting happenings (garden planning, hands-on classes, seed starting, garden prep, etc.) at the Demo Garden and/or dropping-in to lend a hand? Email a "Sign me up" message to receive Demo Garden updates at DemoGardenNews@gmail.com. We look forward to you joining in! Our utmost thanks to everyone who put the “Incredible” in our annual Incredible Edibles Plant Sale! Thank you to our tremendous volunteers, customers, sponsors, grower, donors, vendors, guest chefs, presenters, and musicians! Thanks to everyone we had a successful fundraiser and a wonderful community celebration! Funds earned will sustain our mission to support the OSU Master Gardeners and our community outreach projects. Thanks to all for your generous support of the Multnomah County Master Gardeners! Follow us year-round on Facebook and mark your calendars for Saturday, May 4, 2019 when the ‘Incredible’ returns!